South Korean baseball club LG Twins announced on Wednesday their signing of former major league pitcher Casey Kelly. The Korea Baseball Organization team said Kelly has agreed to a one-year deal worth $1 million, which includes a $300,000 signing bonus. Starting this offseason, the KBO put a $1 million salary cap on foreign players who sign their first contracts here. Kelly, 29, is a former first round draft choice by the Boston Red Sox who made his big league debut with the San Diego Padres in 2012. 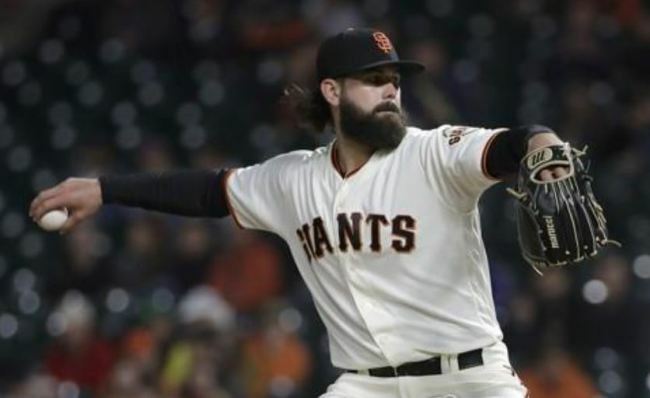 He has appeared in 26 major league games for three clubs, most recently with the San Francisco Giants in 2018. He has a 2-11 career record along with a 5.46 ERA. In the minors, the right-hander has gone 44-48 with a 4.13 ERA in 166 games, including 148 starts. The Twins said they liked Kelly's starting experience and his ability to command a wide variety of pitches. KBO teams are each permitted a maximum two foreign pitchers, and Kelly's arrival means the Twins will have to part ways with either Henry Sosa or Tyler Wilson, who manned their rotation in 2018. Both right-handers put up solid numbers and ranked second and third in the KBO in ERA. In his first KBO season, Wilson went 9-4 in 26 starts with a 3.07 ERA. With a lack of run support, Wilson, 29, lost or got a no-decision in seven starts in which he threw at least five innings and allowed two or fewer earned runs.